The combo of heat and humidity here in middle TN can make summer cycling a bit challenging. 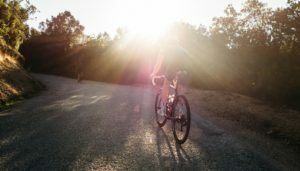 We generally log most of our miles in the summer and with all this riding, we need to be sure to protect ourselves from the nasty things the heat brings on…dehydration, leg cramps, sunburn, saddle sores…to name a few. 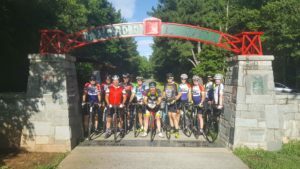 This entry was posted in Current Events, Ride Reports, Riding Tips, The Right Side of the Road and tagged dehydration, heat, muscle cramps, recovery, riding tips, saddle sores, Summer on June 8, 2018 by juliah. Chris Smith, a local paramedic, spoke at the Summer HRBike meeting. Below is a summary of helpful information from Chris if we find ourselves in an emergency situation. Stay Calm – Take a deep breath to get your thoughts together before calling 911. Clearly describe where you are, the details of what happened and the status of the person injured. Stay on the line until 911 says it is okay for you to hang up. 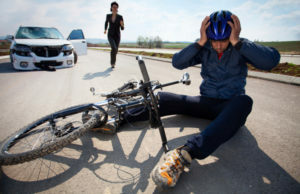 Don’t make the situation worse – If the injured party is in harm’s way, move them to safety as gently as possible keeping their head, neck and spine in alignment. To move them put your hands under their armpits and pull them to safety. If they can move on their own, it is probably okay for them to do so. This entry was posted in Reviews, Riding Tips, The Right Side of the Road and tagged Emergency, health, paramedic, safety tips on August 1, 2017 by juliah.